Last year, the European Food Safety Authority (EFSA) announced that palm oil, the most utilized vegetable oil in the world, is potentially carcinogenic; meaning, it can cause cancer. But avoiding it poses an incredible challenge. It’s found in roughly 50% of the packaged foods, personal care and cleaning products we use, due to its cheap production costs relative to other vegetable oils. Everything from Nutella, to laundry detergent, contains palm oil. Surely, if we eat clean and buy green, we’re safe, right? Not quite. What is palm oil? Palm oil is an edible vegetable oil high in saturated fat and free of trans fats, making it a popular choice as consumers demand more all-natural ingredients. It is cheap to produce and is currently the most utilized oil in the world with an industry valued at $65.73 billion. 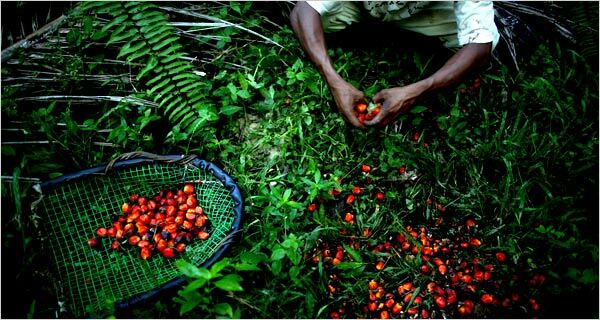 Previous controversy: Environmental concerns have plagued the palm oil industry for years. Millions of hectares of rainforest have been destroyed in Indonesia and Malaysia, to make way for palm oil plantations, slaughtering endangered species such as orangutans, along the way. 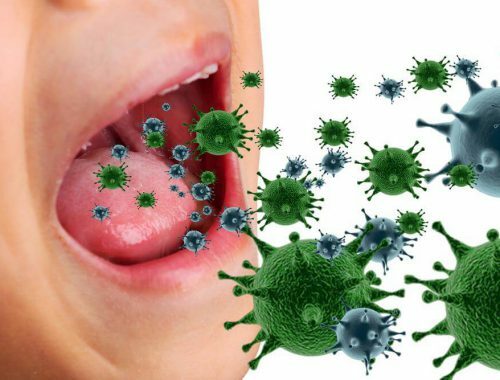 Cancer risk: The EFSA report outlined the discovery of a contaminant found in the manufacturing process of palm oil, known as GE. 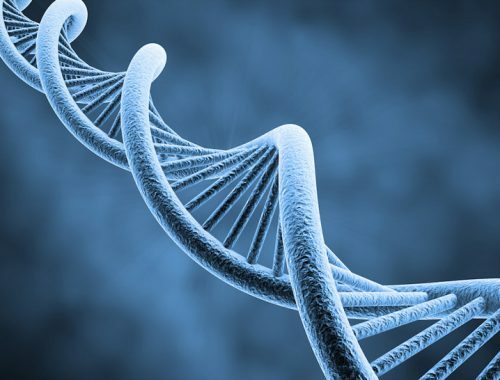 According to their findings, the EFSA warn there is sufficient evidence, that GE poses a cancer risk. Can you avoid using palm oil? It’s Tricky. Even some of our favorite healthy foods contain it. Products which may now be as dangerous as a bag of Doritos. 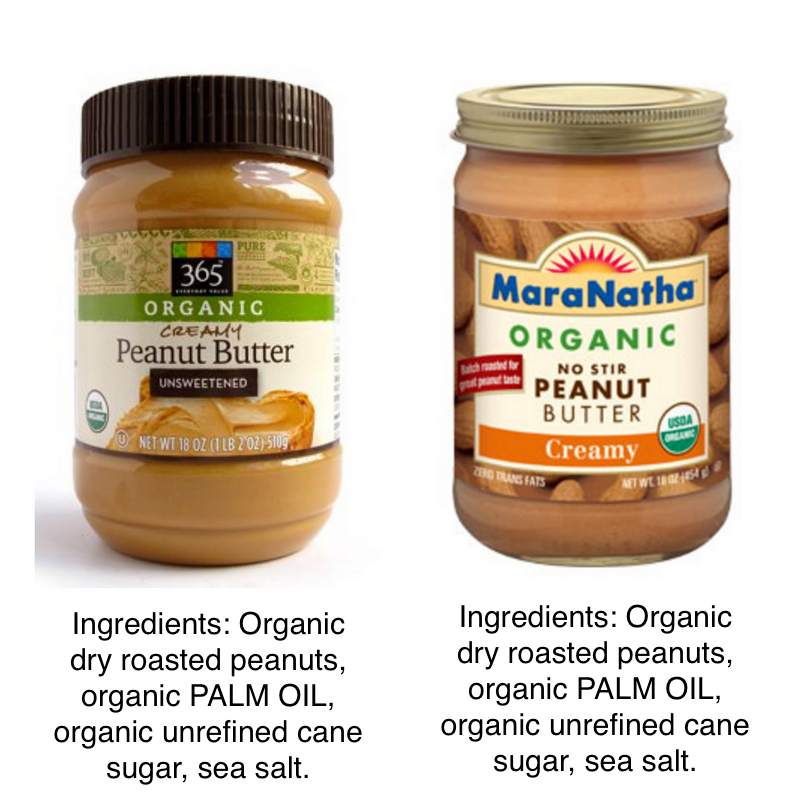 The following list is a snapshot of healthy brands which contain palm oil in their products. 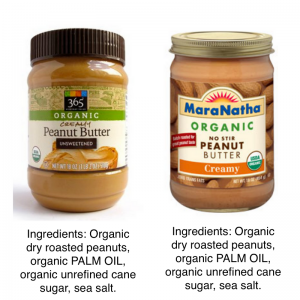 There are few who would argue against nut butters as part of a healthy diet. Nuts deliver protein and good fats. 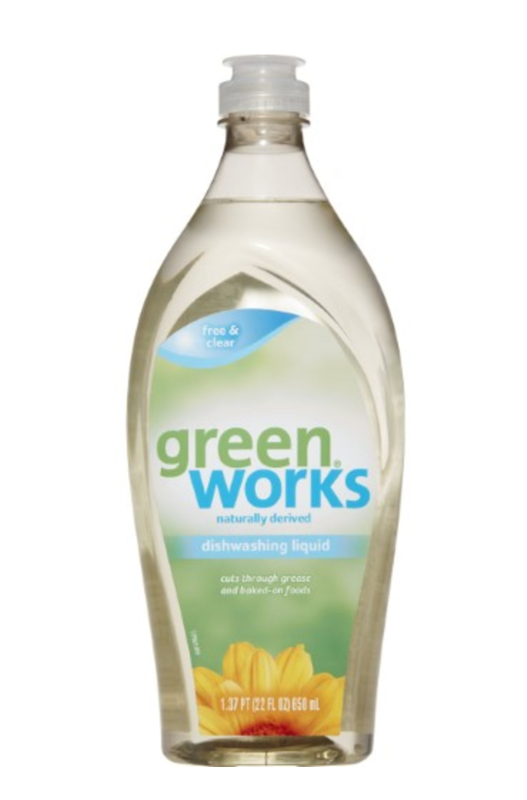 But, the following products contain palm oil as a key ingredient. But it contains high quantities (7-15%) of a chemical known as Sodium lauryl sulfate (a foaming agent), which is made from palm oil. 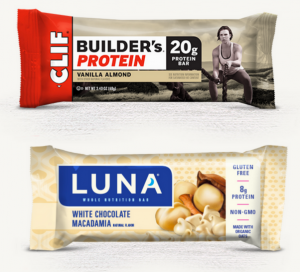 Clif and Luna bars usually hit the spot for a pre-workout or protein fix. Sadly, for the gym rats out there, both bars contain palm oil. Paradoxically, the parent company’s mission statement is to ‘strive for a healthier, more sustainable world – the kind of world we’d like to pass on to our children’. 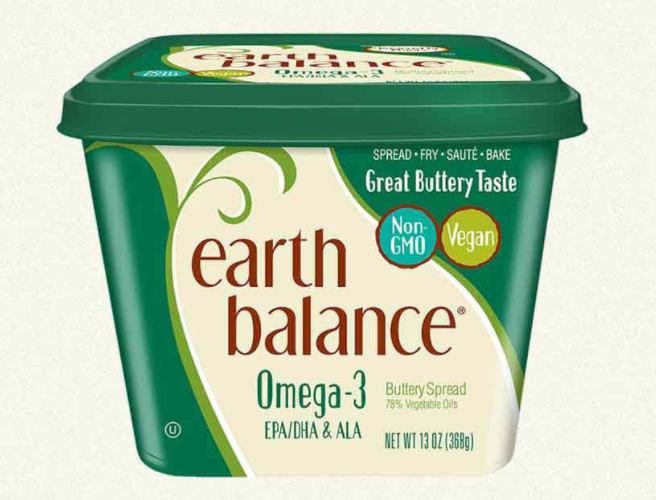 Despite the reassuring name, Earth Balance uses palm oil in all of it’s vegan butters. Further, 30 percent of palm oil they use is not sourced from sustainable plantations. If you’re looking for a healthy alternative to Kellogg’s Pop Tarts, look further than Nature’s Path Toaster Pastries. Palm oil was listed as a key ingredient in all flavors. 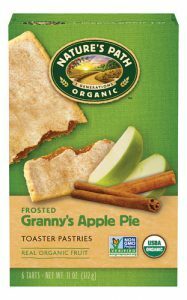 Branding products to a health conscious consumer is semantic sleight of hand by the manufacturers, and a distraction from the harmful small print which lurks in the ingredients list. It pays to do your research and look for brands who do not use palm oil. 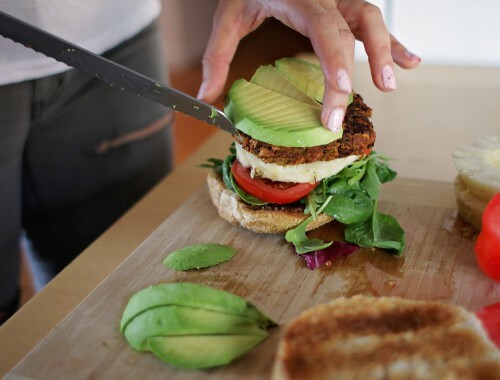 Diet Ethics: In the quest to save planet earth, should you eat meat or plants?